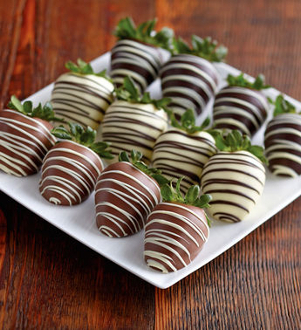 One dozen delicious Chocolate Covered Strawberries!!! Available in dark, Milk, White, or Assorted Chocolate. All decorated for the holiday! ONLY AVAILABLE FOR PICKUP IN OUR SHOP. Please specify in the Special Instructions the day and time for your pick up.